Now, if in you’re religion you had sacred animal, would you respect it, protect it, treat it like a deity….or let it roam the streets eating garbage? We haven’t quite figured this one out. 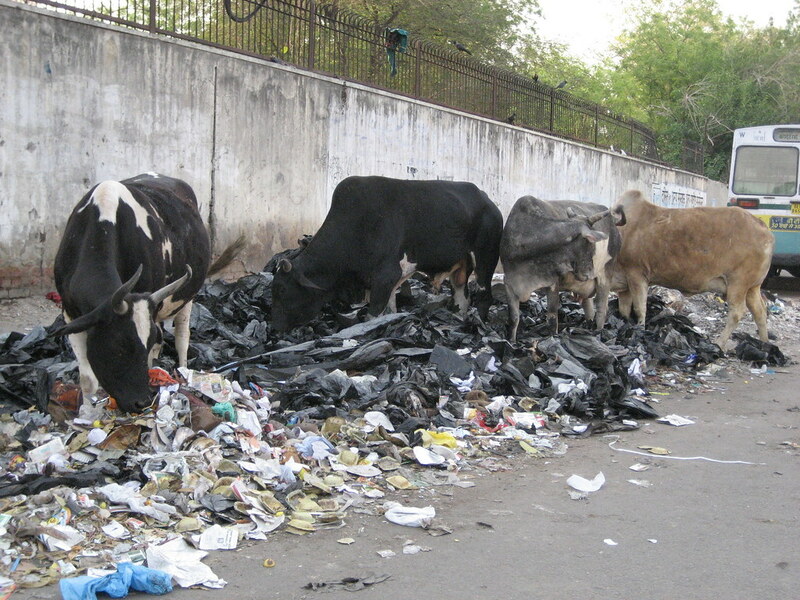 The sight of the urban, trash eating cow is not a pretty one, and yet it is all over India. We have seen some seemingly happy, grass munching country cows, but not many. So don’t kill the cow and eat it. Just let it roam the street mangy, diseased and yearning for another hunk of dirty plastic. Perhaps we can seek some enlightenment on this subject during the remainder of our time here.